Dharamshala: - The Intermediate People's court in Nyakchukha County in Kham Karze, Eastern Tibet sentenced four Tibetan writers up to five years in prison and deprived their political rights for their alleged involvement in a Tibetan movement against Chinese rule in Tibet. 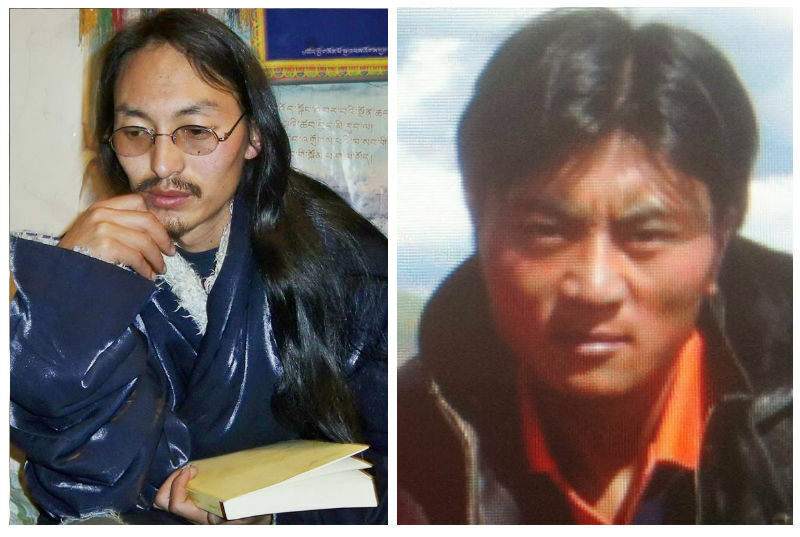 The four writers are identified as Gangkye Dupakyab, Samdup, Yudrang and Drensal and they were arrested by local Chinese police in Karze for allegedly committing separatist political activities against Chinese rule in Tibet and allegedly establishing an organization; 'Marchung Ngogol Tsokpa', roughly translated as "Red Movement." "The four have been sentenced by the so called 'Intermediate People's court' in Nyakchukha County on August 1, 2013 for "allegedly committing separatist political activities against Chinese rule in Tibet and allegedly establishing an organization namely 'Marchung Ngogol Tsokpa'," an exile source with contacts in the region told The Tibet Post International (TPI). "Gangkye Dupakyab sentenced to five and six months in jail and deprived of his political rights for two years. He was arrested on February 15, 2012 by local Chinese police and kept in Chinese custody nearly two years," the source added. Dupakyab, (Age Unknown), a Tibetan writer and teacher from the restive Gephan village, in Raktam Yutso, Serta County of Kham region, eastern Tibet. After completing a teacher training course, he taught Tibetan language at Tibetan schools; Dhartsang School, Horshul Yultso School and another Tibetan school in Drakgo County. Dupakyab wrote several articles related to the Tibet issue in the past years that were published in a few mini books of his own. He also wrote a book on the "Spring 2008 Tibet Uprising" (Tibetan: Sashi Tradri Marpo). The report confirms that "Samdhup from Gonchok village of Serta County, eastern Tibet, was sentenced to five years in jail and deprived of his political rights for two years. He was arrested on June 13, 2012 by the Chinese police and kept in Chinese custody more than a year." Another writer Drensal was sentenced to three years and deprived of his political rights for one year. Sources said currently "no further details are available about Drensal and Yudrang." Yudrang and Samdup were arrested the same day in 2012 and Yudarng sentenced to two years in jail, while also being deprived of their political rights for one year. For recent years, an unending wave of self-immolation protests has occurred in Tibet, the Chinese government has increasingly imposed severe restrictions on Tibetans in all parts of Tibet, particularly Kham and Amdho region and the so called "Patriotic re-education," has been strictly implemented, particularly in monasteries in the Himalayan region. In Tibet today, Tibetans are being arbitrary arrested, imprisoned and tortured by Chinese authorities. These things happen to Tibetans inside their homeland on an almost daily basis and there is no freedom of speech, no freedom of assembly, no freedom of press and no freedom of religion.